The bald fade is a gradually shaved haircut that goes from the top of the hair down to the nape, where the bare skin is visible. 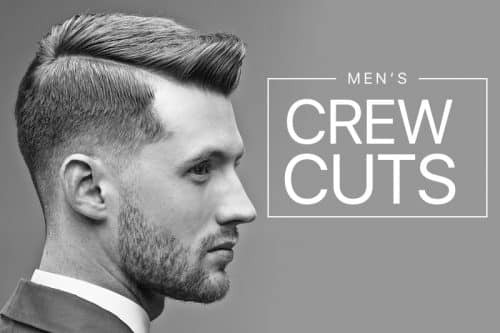 This very technical trim can take on the usual fades – low, medium, or high. You can always opt to customize the length to suit your hair texture on top. What matters is the smooth transition as it goes lower to the sides and the nape area! 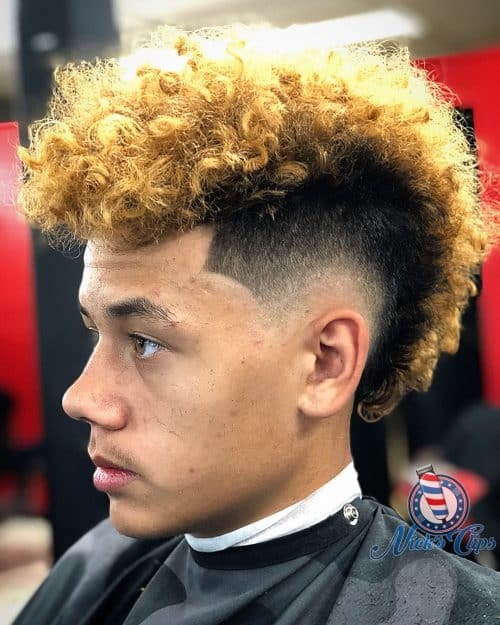 This is the one that delivers the high contrast effect between your skin and hair color, which is the reason why this fade is of the more popular styles. 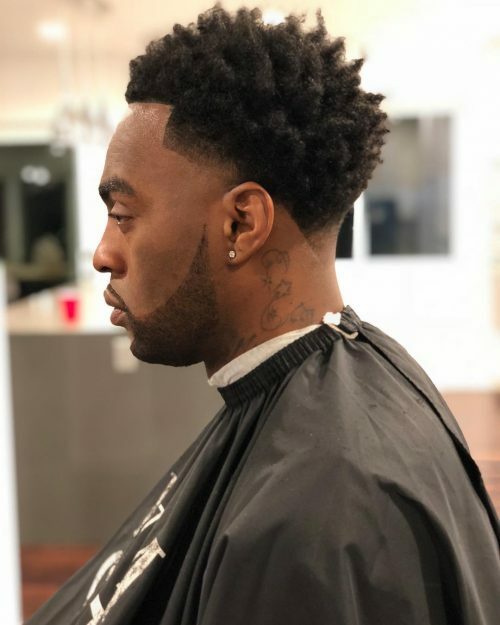 A cool benefit of this contemporary haircut is that it can prolong the time between barber sessions, as it will take a while before your hair grows out again from bare skin. Another is that it has very low upkeep and can lessen the amount of hair you need to style while still keeping an impressive look. 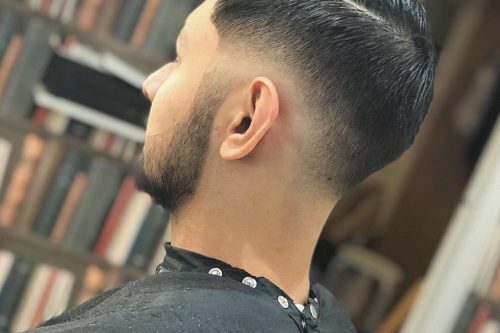 Whether you need it to beat the heat of the sun or to look sharp and professional, this list of easy-to-recreate styles will definitely help you get updated with the most stylish sorts of the bald fade. 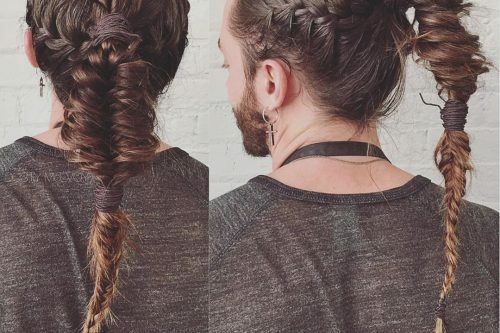 How else can you rock this punk hairstyle if not with a neatly shaved side? 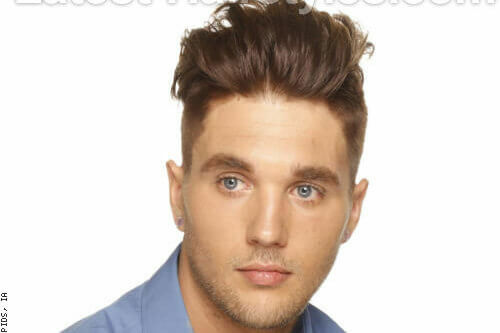 This allows you to acquire more shape on top of your head to style. Precision is key to getting that outstanding shape. Have your hair cut short and close to the scalp for a clean and professional appearance. 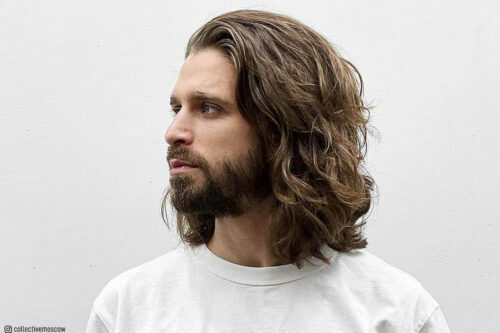 Get your temples clean to the skin between a beard and the top hair for a sharp and neat vibe. This goes to show how to work a beard casually. 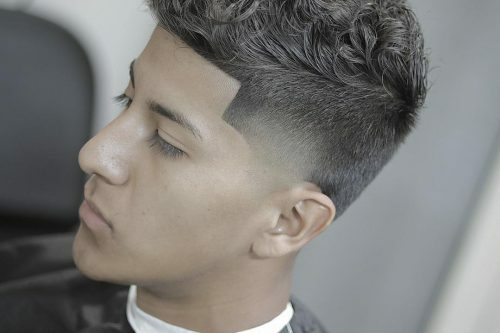 The clean look on the sides make it a perfect partner for any hairstyle. Add on a cool shaved pattern for a noteworthy look. Give your hair an instant refreshing with a higher version of this cut so your hair will look neater and less ragged. 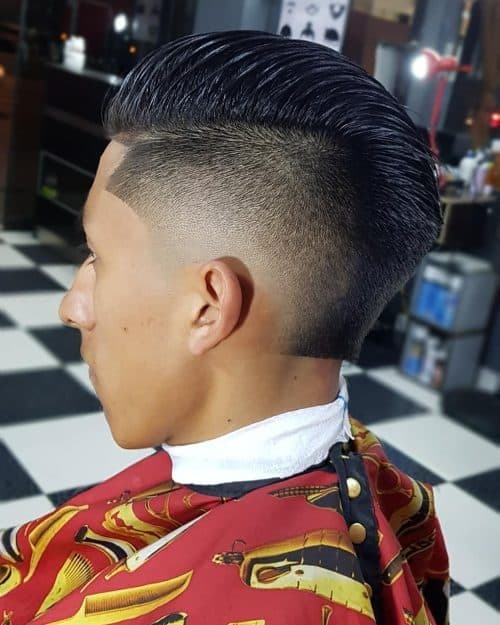 Much like a pompadour, this style can definitely be eye catching. 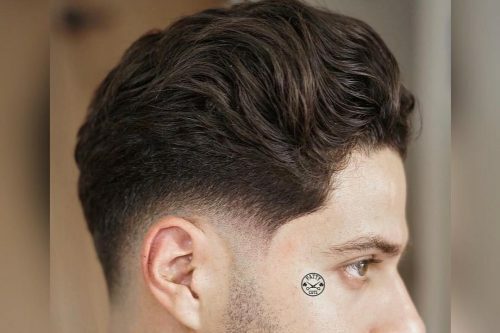 Look dapper with cleaned up sides to level up your hair game. 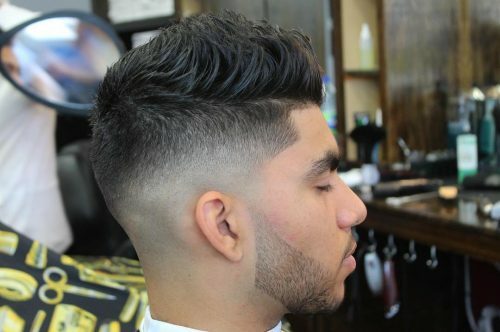 This bald fade style suits almost all cuts, short or long. This one features a smooth finish to complement any trendy hairstyle this season. 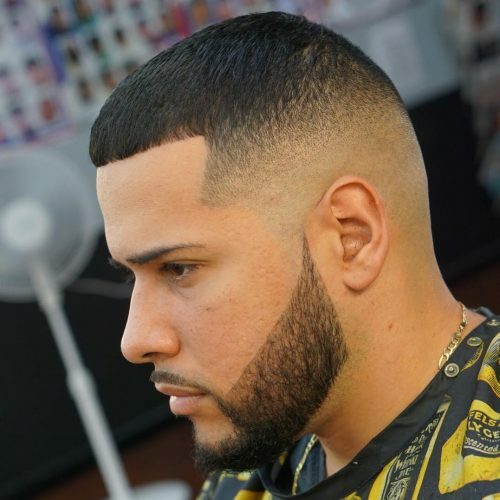 This is a fashionable and versatile bald fade that can be mixed with any casual style for an impressive result. The contrast it offers is just so remarkable. 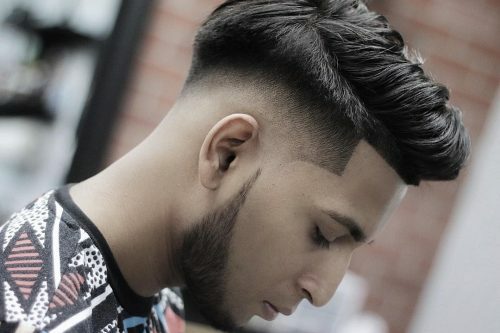 High fades bring attention to the top section of hair. This is also ideal for men with longer hair because it allows you to get a fresh new look while keeping your length intact. 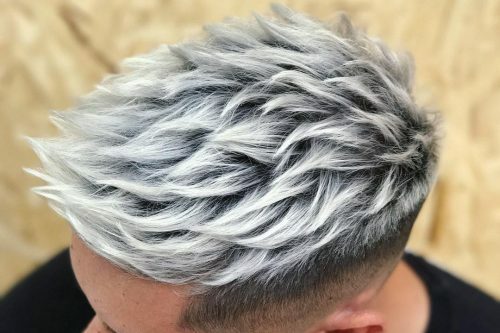 Combining longer hair and a bald fade creates a unique look. 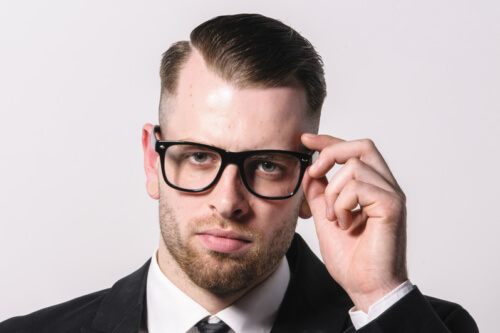 If you’re going for a subtle and classy look, go with side parted bald fade hair. It’s great for a business setting or even any day when you wanna look like a handsome gent. 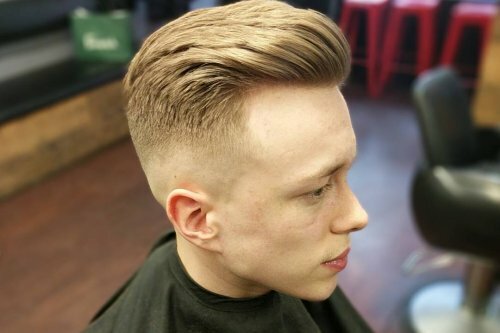 Combine the vintage side parting with a modern clean shave and you’ll get this outstanding bald fade style. 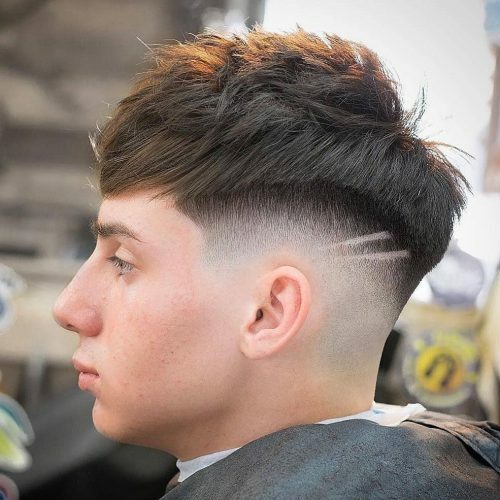 This short and sharp cut provides the solution to looking cool everyday. A high shaved side like this allows for more contrast and freshness. 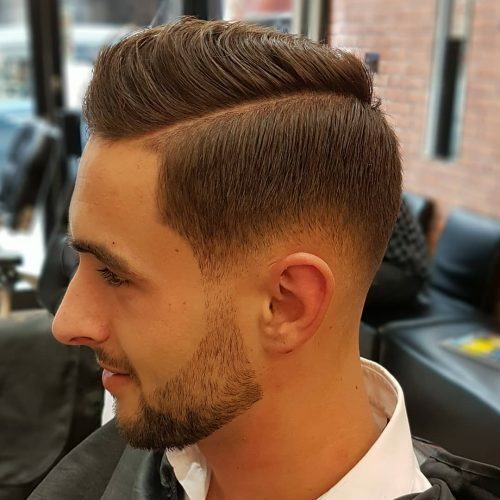 You can combine this with a taper to get a generally versatile look that goes well with any style you want – a comb over, a quiff, or any high top. 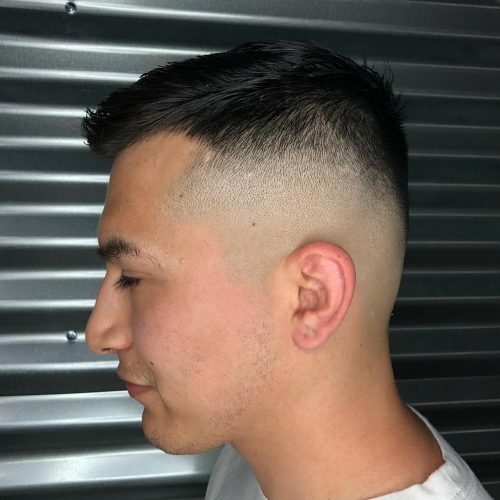 This is a minimalist bald fade cut to combine with a natural waved top. It accentuates and cleans your look for a dapper finish. 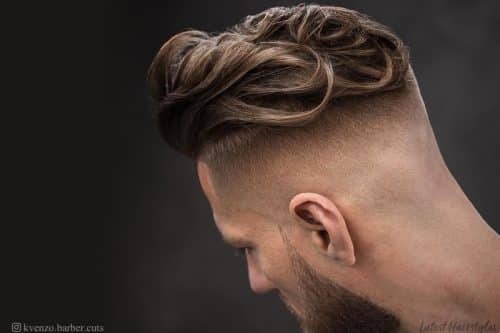 Men who have curls can rock fades like this one. The contrast of a totally clean side and a textured long top definitely grabs the attention of everyone. 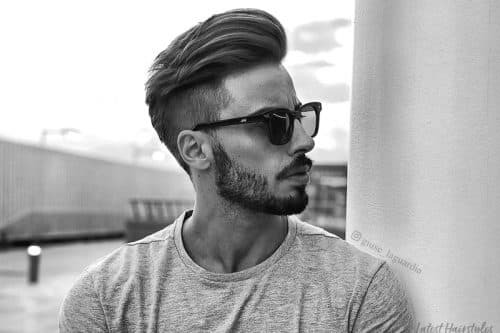 It’s a unique and standout style that suits men with lengthy hair on top more. 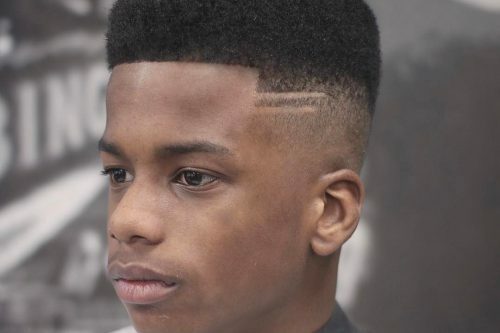 This bald fade haircut features a sharp and clean finish to a brushed back hair. You can have a surgical line added for added contrast. Combover fades are easy to maintain but keeping the length is the important part. The bald fade is a timeless and diverse haircut that can accomplish multiple looks depending on the client. The origin is hard to date but the sleek look of the 1940’s/50’s influences the current style. 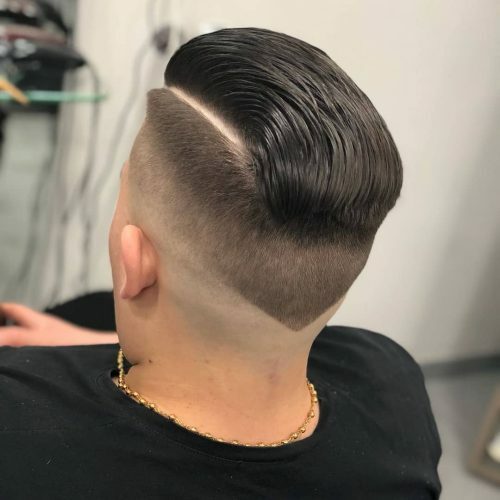 It was applied with a slick combover which is popular with businessmen and professionals, like in the TV series Mad Men, achieving a sophisticated look. Exposing skin on the sides and back and leaving a clean-shaven appearance make for a classic look. On another spectrum, it was an iconic cut in the early rap and hip-hop scene and to this day has been a staple cut in the African American community. The best aspect of the bald fade is its diversity. Anyone can rock it! 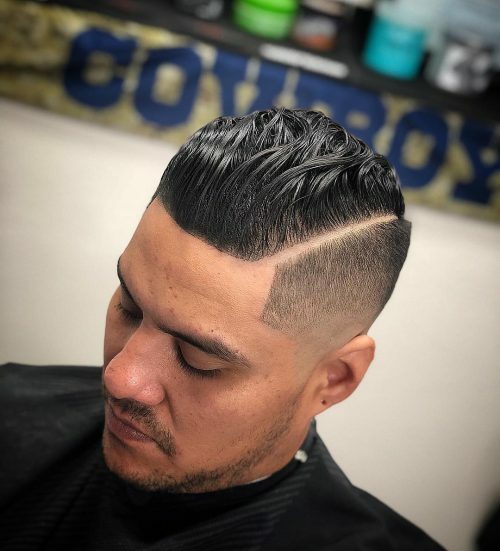 Whether you’re the CEO of a large company, the next Dr. Dre, in a folk band with a long beard, or trying to get the “Viking” appearance, this cut looks clean, sleek, sophisticated, mature, and complex all while keeping it stylish, modern, and edgy. All that being said, the bald fade may not necessarily be for everyone. At our shop (Captain Cutz) before I suggest the cut, I take all the following facts into consideration. The cut itself gives a rather naked feel, therefore, is not advisable to someone with a self-conscious disposition. It is also advised that people with light skin pigmentation consider that the skin tone on the scalp will temporarily be much lighter than the skin which has been regularly exposed to light. While on that subject, we also recommend that clients take precautions with UV exposure to avoid sunburns and heat rash. The bald fade is also not advisable to someone with any sort of scalp/skin condition either, as it may irritate the condition further. Now that the bad stuff is out of the way, there are some very positive ways to bring out natural attributes to each individual. 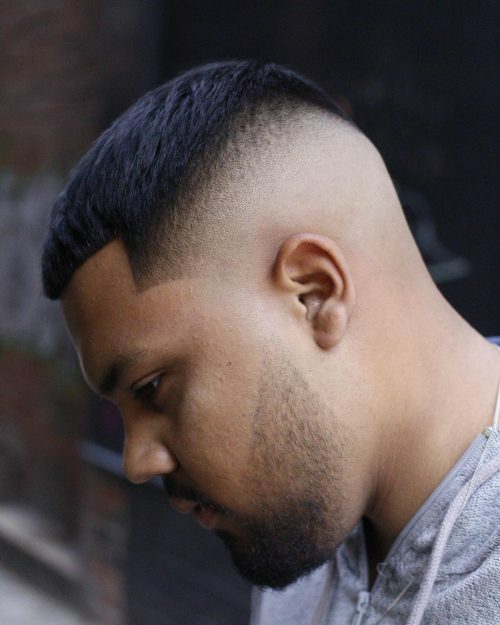 For instance, someone with a rounder face and head, I would suggest getting a low bald fade with length on top due to the transition ending in a longer length. 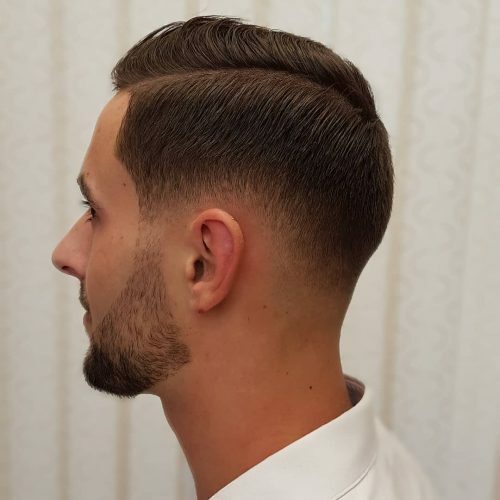 This creates a square look transitioning from the ear to the parietal ridge, ultimately creating a straight vertical line rather than taking the shape of the head. 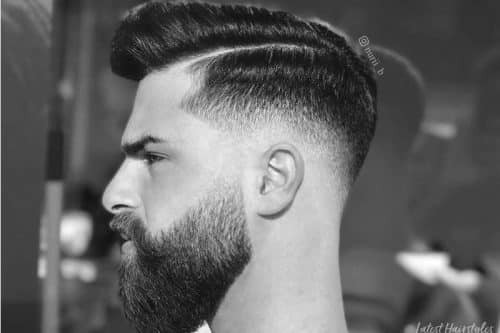 I’ve found that a longer pompadour and a straight blade “hard part” looks very sharp. 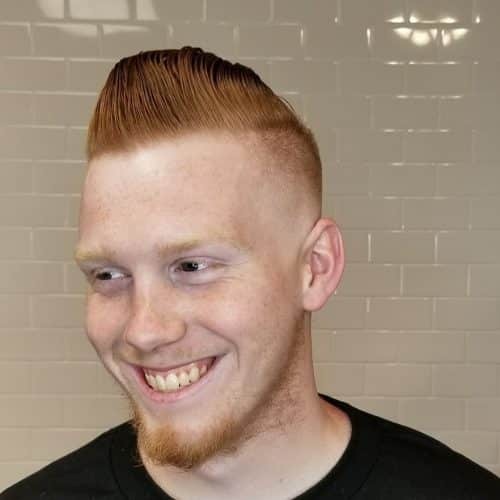 Naturally, a high fade would do the exact opposite. If the top is buzzed, the haircut rounds the head. 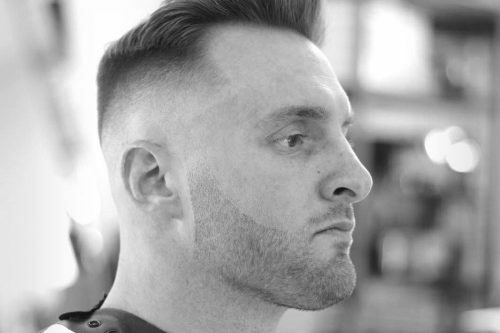 The high fade is a more aggressive look due to the amount of skin exposed. 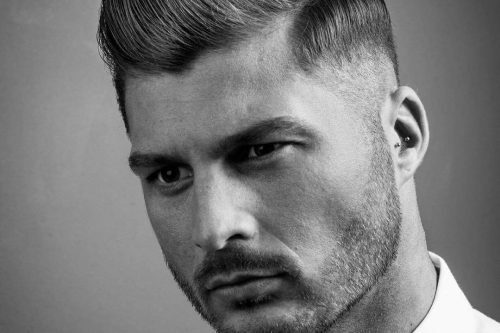 The high fade with a part slicked to the side with a pompadour can give a classic look. All of these styles can be enhanced with a good product. We suggest a water-based pomade if you’re looking for a slick, wet look and a matte pomade for a dry and natural look. I personally use the brand Suavecito out of Santa Ana, California. 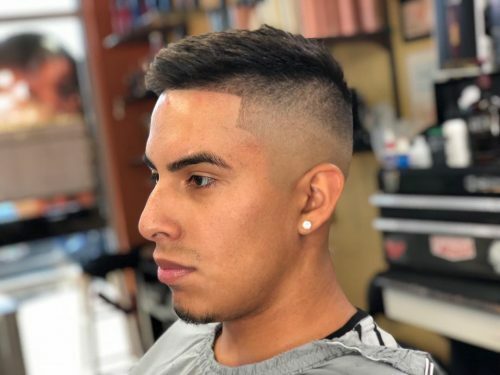 On this combover fade with a hard part, I went off the natural texture of his hair starting the bald blend low and gradually fading into a #2 or 1/4 inch into the side with the part. 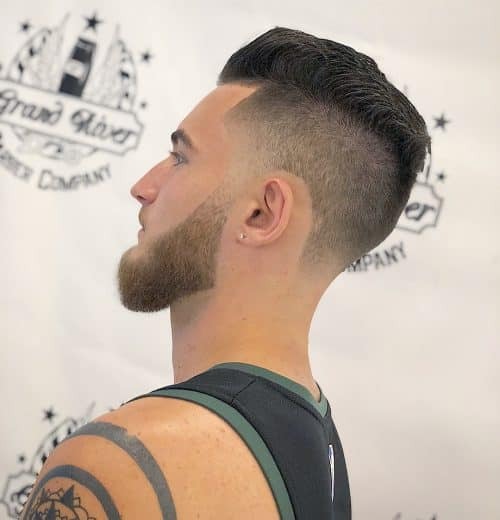 I did a shear work on top (point cutting technique), then finished it off with straight razor work on the line-up, hard part, and neckline. The thing I like about the cut is how the hair on top unify the side blend also the dark corners in the temples to make the blend pop out! 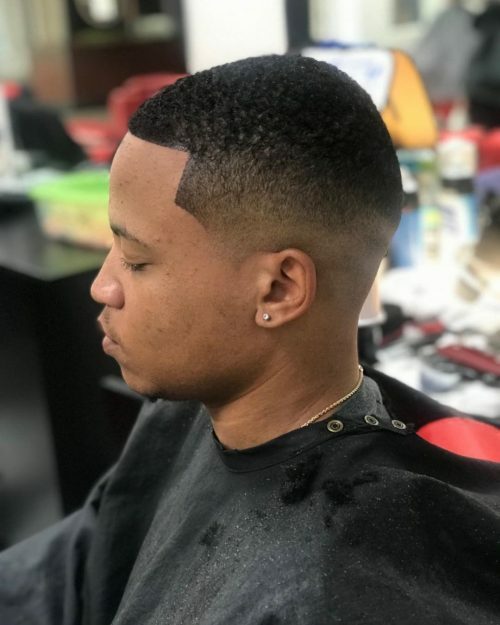 Considering it’s such a tight fade, keep it looking fresh I recommend getting it cut every two weeks to maintain best results. 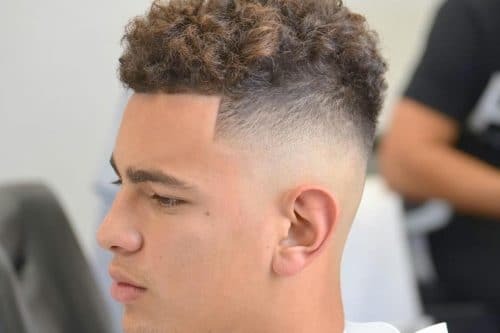 Also the rounder the head shape or thicker the hair texture, you can take the fade to blend a little higher on the sides. 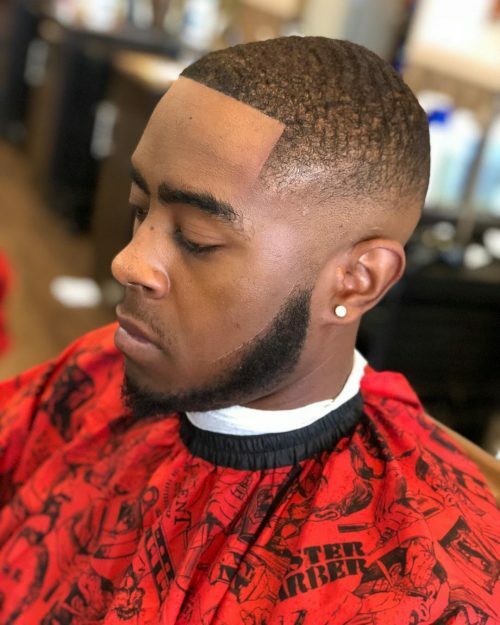 On the other hand, the slimmer the head shape or thinner the hair texture, you should leave the fade lower and slightly over the ears (the bald part). 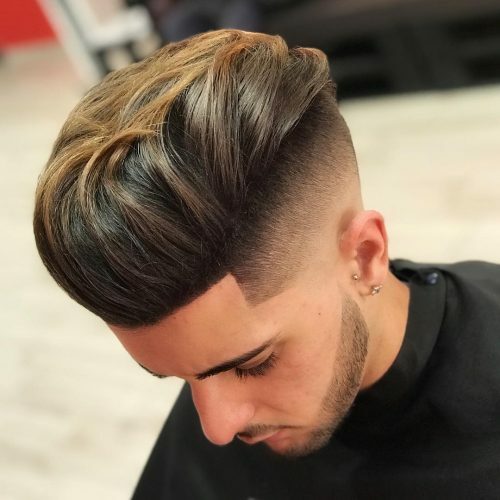 I also like to use a thicker hair gel with a lot of shine in my haircuts, as it holds down the hair nice and firm and makes it stand out with the glossy shine! It’s the perfect blend of skin to hair transition. For anyone looking for that baby, smooth skin faded into limitless possibilities for the top of the head. 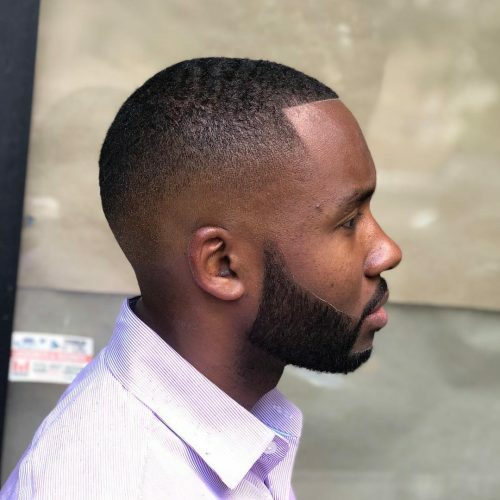 The greatest thing about the medium bald fade is that it can be paired with any type of style on the top, including combover, buzzcut, textured crop, and spikes to name a few. 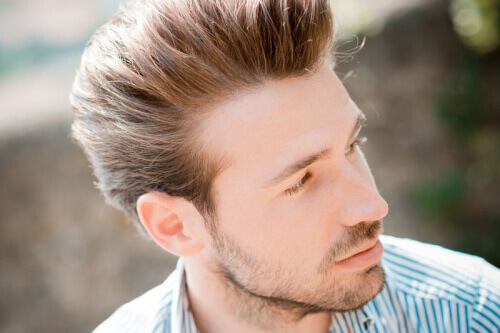 This style requires consistent maintenance on an average of two weeks to keep the hair looking crispy and fresh. So be prepared to see your barber often. (Find one that you can have a long-term relationship with). Usually fades require frequent cuts to maintain the proper length. This is my favorite bald fade cut to do. It’s urban but classic. The coolest thing about a bald fade is the transition from short to long. First thing I would look for is to see if they have any scars or lesions in their scalp. 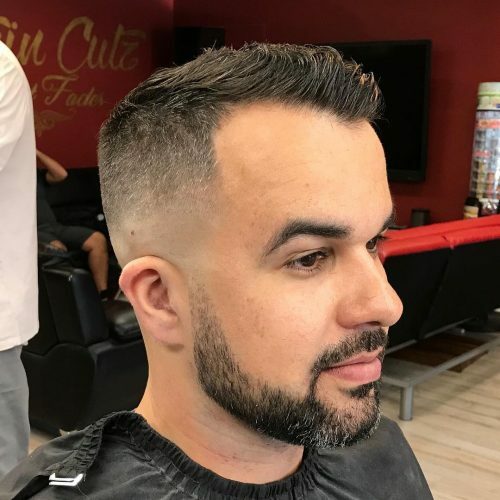 This cut is perfect for someone who is thinning on top because it brings out the hair and makes it looks less thin on top. I think fades are great styles for most people.